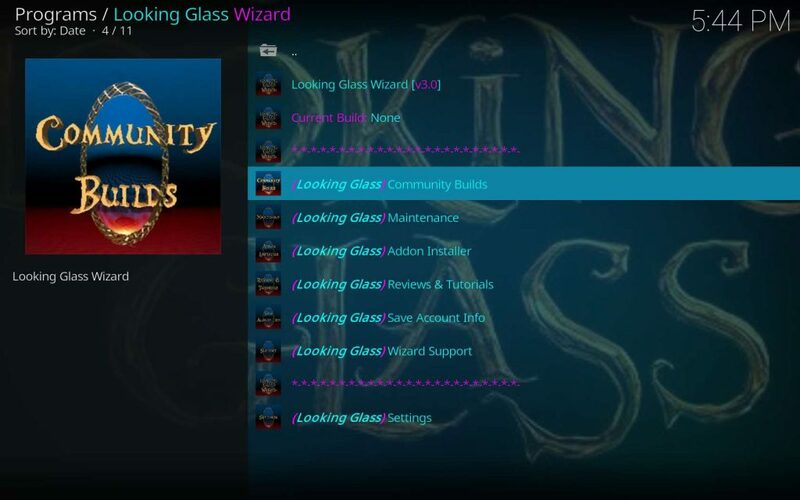 TeverZ Ultra Build, one of the Looking Glass Community Builds, comes in Kodi 17 Krypton and Kodi 18 Leia versions. This provides built-in future proofing for those not yet ready to take the leap to Kodi 18 Leia. The Kodi 17 Krypton TeverZ Ultra build has a great interface and a huge selection of working Kodi addons. 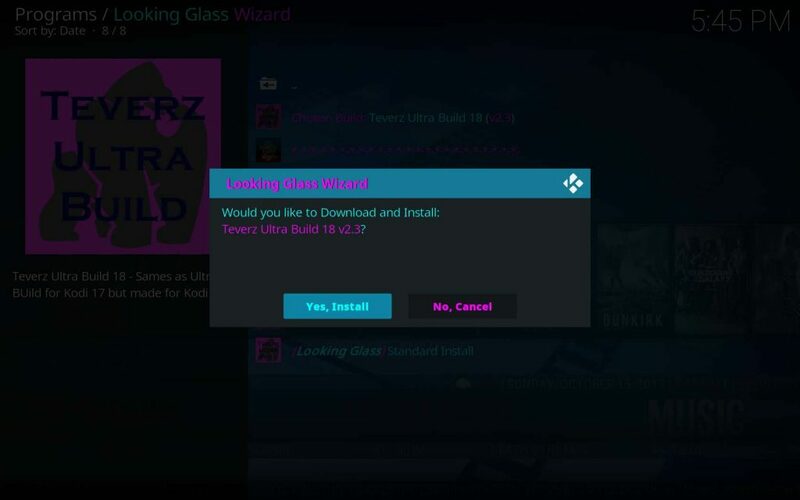 If wishing to check out the latest release of Kodi 18 Leia, then TeverZ Ultra build for Kodi 18 will treat you well. The latest nightlies of Kodi 18 seem quite stable, yet there are very few builds catering specifically to Leia. 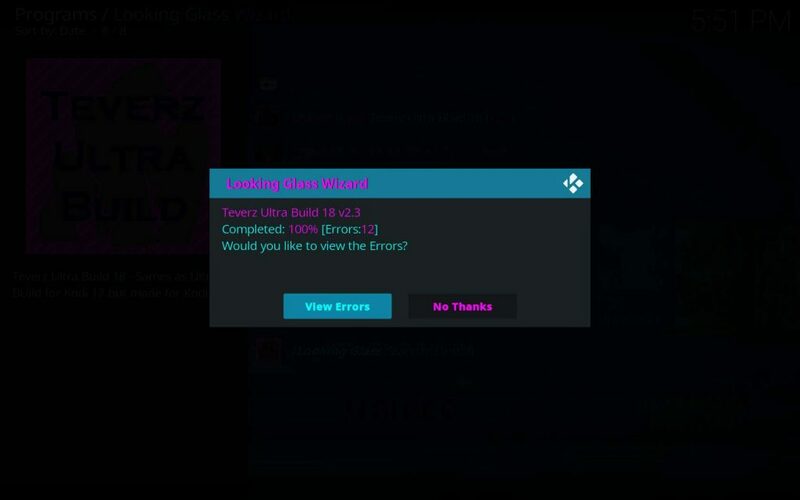 Within the Looking Glass Wizard, where the TeverZ Ultra Build resides, you will currently find three builds for Leia from which to choose! 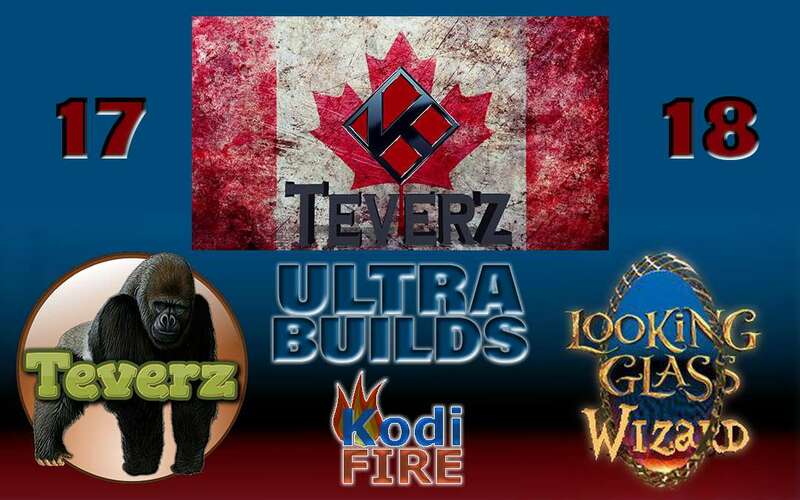 KFire TV features the TeverZ Ultra build on our Best Kodi Builds page for good reason, then goes one step farther. With this up-to-date build, early adapters of Kodi 18 Leia can finally rejoice. Our Kodi 18 Builds page now specializes in builds that work with Kodi 18 Leia, so you don’t have to wonder when reading best-of articles. Every build on our Kodi 18 builds page seems to work great with Kodi 18 Leia at this time. The KFire TV front page remains your best source for up-to-date, working Kodi build and TV addon information, so check it often. Receive the latest news, builds, and TV addons information, so your Kodi streams never dry up. Please, use Kodi safely, especially now the FCC has taken Net Neutrality off the table. Place yourself within an encrypted VPN, so your identity, whereabouts, and other personal data remain known only to you. Before installing TeverZ Ultra Build, you must have a few necessary items completed. You may have some or all of them done already, so just give the list a quick perusal. None of the required steps takes much time at all. I hope it goes without saying, though I will anyway; you need a functional Kodi installation. Visit our Kodi 17.6 Install/Update page, so you may learn the easiest ways to install and update Kodi. Since Kodi 17 Krypton first released, Kodi requires enablement of Unknown Sources before allowing the installation of third-party addons. This includes Kodi TV addons, wizards, builds, and even repositories. If unsure what this means, or just needing a refresher, check out our brief tutorial on how to enable Unknown Sources in Kodi 17 and later. 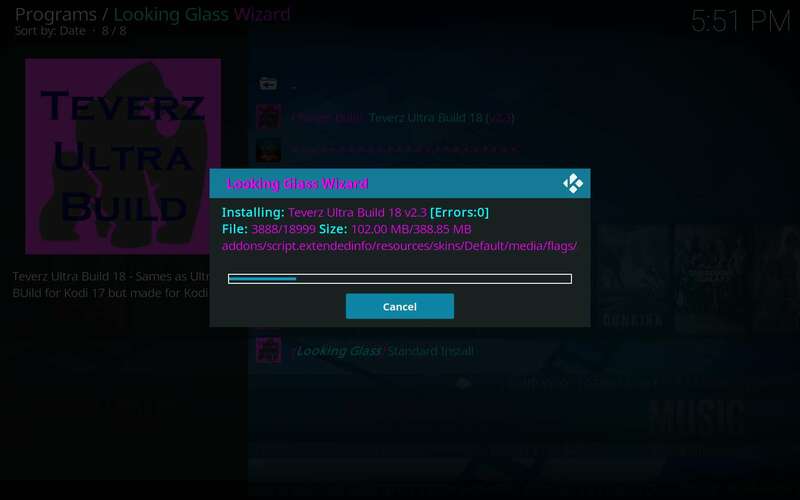 If you haven’t already, then install the Looking Glass Wizard whence most build installs of TeverZ Ultra happen. Looking Glass Repository houses Looking Glass Wizard and TeverZ Ultra Builds for Kodi 17 Krypton and Kodi 18 Leia. Once the wizard installs, then you may find the build installation so easy you won’t return. In that case, I beg you take your raincoat. No telling what may happen beyond that garden gate. Your Kodi entertainment system now has all it needs to install the Ultra Build by TeverZ, so let’s get to it. Here, I’ve installed the Kodi 18 Leia version of the build, but the process remains essentially the same within Kodi 17 Krypton. If you have any questions concerning Looking Glass, TeverZ Ultra, Kodi, your Firestick, or even why your dog walks in circles before lying down, then don’t hesitate to ask us. We love to help! 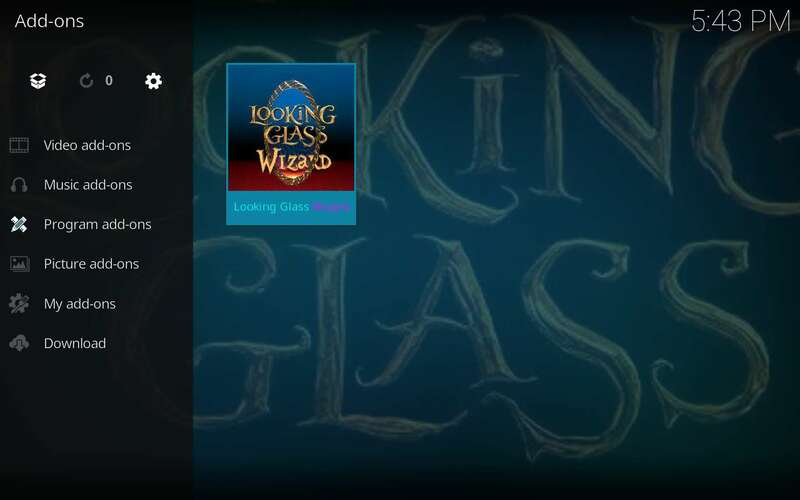 First, open the Looking Glass Wizard if not open already. Then, Go inside the Community Builds area. 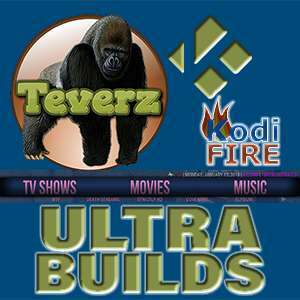 Here, you’ll see all the builds available, so choose whether to install TeverZ Ultra Build for either Kodi 18 Leia or Kodi 17 Krypton. If installing TeverZ Ultra Build on a fresh install of Kodi, then choose the Standard Install. 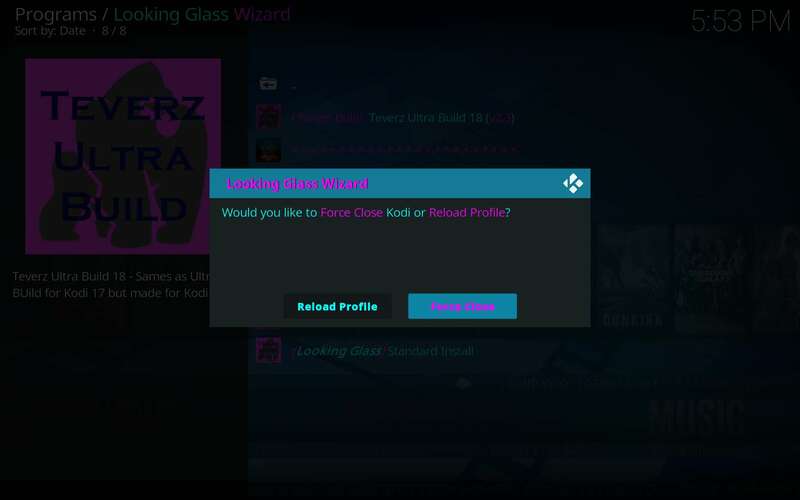 The Fresh Install option exists for those in need of wiping their Kodi installation clean before installing the TeverZ Ultra Build. The Looking Glass Wizard will ask if you are certain of your decision, so double check your choice and accept. The download of TeverZ Ultra Build commences, which transfers 271.45 MB (at this time) of installation data onto your Firestick. During the actual installation of TeverZ Ultra Build, that 271.45 MB becomes 388.85 MB, so still fits easily onto your Firestick. If installing a build on a nightly prerelease version of Kodi 18 Leia, then you may receive errors. These errors are typically non-critical, so don’t fret. Those seen here were simply file access permission errors in the code of the nightly Kodi 18 beta version I happened to be installing on. Once the installation of TeverZ Ultra Build finishes, then choose to force quit. This gives TeverZ Ultra Build the best chance of cleanly taking over the Kodi interface. 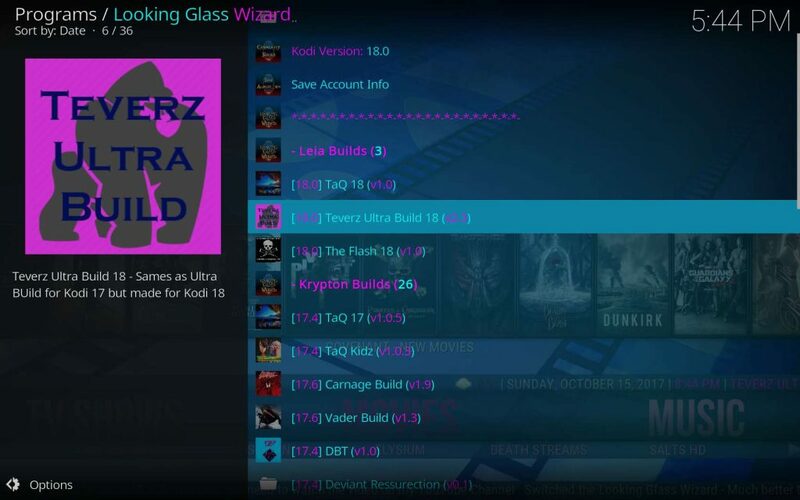 Upon next starting Kodi, you will find your new TeverZ Ultra Build waiting for you. Allow it a few minutes to update and configure itself. Explore the settings to get TeverZ Ultra Build up the way you like. The possibilities are endless, so go crazy with your personalization. Protect yourself with the best Kodi VPN available before using the add-ons contained within these builds. This ensures the usability of your new install and guarantees your privacy. 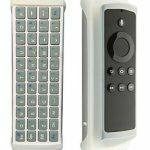 I think it worth mentioning that you may find a miniature backlit Bluetooth keyboard can greatly speed up and simplify typing into search and other text fields on your Firestick. 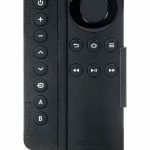 Mine really changed the way I use my Firestick, and there are several models to choose from. I actually use the iPazzPort Piggyback with a Sideclick, which also negates the need for a TV remote. 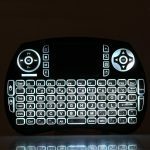 I’m including those here along with most people’s favorite, the iPazzPort Bluetooth Mini Wireless Keyboard, for you to check out. Neither the XBMC Foundation nor Kodi TV will consider supporting third-party builds such as these by TeverZ. They frown upon third-party addons, which could potentially be used to pirate copywritten works. Thus, they refuse to help those using them in order to distance themselves from any possibility of association with piracy. Feel free to ask any questions you may have right here, and distance yourself from piracy with a secure VPN. 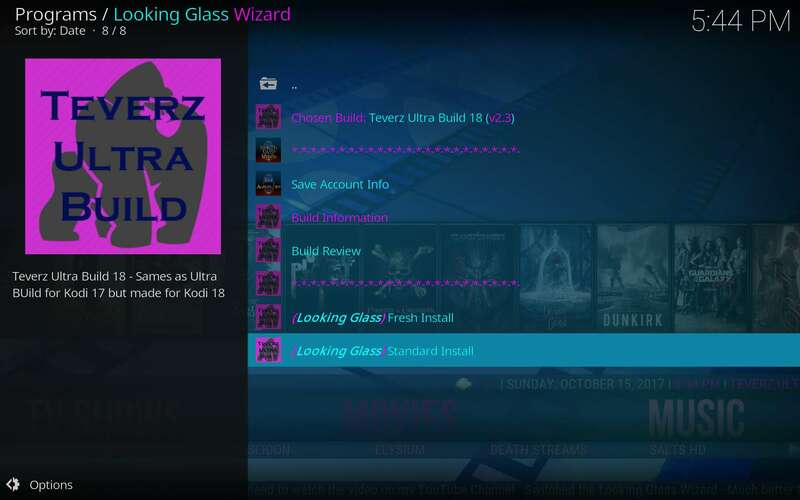 Learn how to install Teverz Ultra build for both Kodi 17 Krypton & Kodi 18 Leia with the Looking Glass Wizard using our easy pictorial installation tutorial guide! 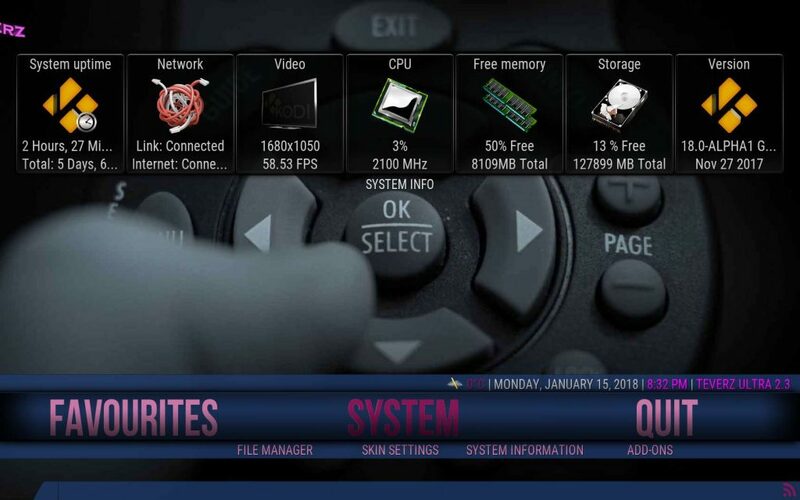 All of the latest, greatest working Kodi TV addons are here and waiting for you whether you tend to be conservative or avant-garde!